Harry Stack Sullivan, the personality psychologist, in his interpersonal theory of psychiatry, suggests that interpersonal interactions and social relationships shape self and personality. This means that fulfillment of interpersonal needs become significant for healthy development of self and personality. When interpersonal needs are not fulfilled, it leads to psychosocial threats, namely, loneliness and isolation. This idea of Sullivan fits well with modern descriptions of loneliness. Loneliness has been described as the unpleasant feeling of being unable to form satisfying, long-lasting relationships (friendships, romantic relationships). It has been described as an unfulfilled need for intimacy – the person is completely desirous of having good friendships and other relationships, but is unable to do so. Loneliness gives the feeling of a lack of social support. Social support is the feeling or experience of being cared, helped, esteemed, and valued by others, and that one belongs to a supportive social network. It helps to reduce stress, anxiety, and depression. Loneliness – a lack of close relationships – makes the person feel unwanted, which naturally, gives the feeling of having little or no social support and not belonging to a supportive social network. A lack of social support and an unfilled need for intimacy means that the individual experiencing loneliness has been unable to develop social ties and social bonding. A lot of people living in urban areas, specifically metropolitan cities have been found to have similar experiences. In the current scenario, in urban settings, people are achievement oriented and have a consumerist lifestyle. The idea of the lifestyle of people in urban settings can be appositely described in terms of the tripartite model of self. The tripartite model of self suggests that a person is represented by three different aspects of self, generally one being more dominant than the other two. These three aspects are the individual self, relational self, and collective self. The individual self is associated with personal agency and goal-directed behaviour. The relational self is associated with significant others, and involves interpersonal relatedness and interdependency. The collective self is associated with group affiliation and adhering to group norms. Largely, in urban settings, it has been found that individuals are more inclined towards their individual self as compared to relational self or collective self. Such people are highly individualistic in their lifestyle. Their goals are self-oriented rather than being group-oriented and they are relatively independent of relational and group bonds. Being inclined to the individual self makes them more self-oriented instead of relationship-oriented, gradually leading to developing a lack of social ties. This plays a role in the extent to which one has a sense of community. Social ties has been found to be associated with the development of a sense of community – a lack of social ties leading to a low sense of community. Sense of community or a psychological sense of community is the strength of bonding that individuals have with community members. It involves a feeling of similarity and interdependence with others. Having a sense of community gives the feeling of belonging to a larger social structure. An inclination towards the individual self, resulting in a lack of social ties leads to a low sense of community. It can therefore be said that, in urban settings, the experience of loneliness is due to the individual not being able to develop a high sense of community. This can be further explained by looking at the four elements of sense of community (proposed by psychologists, David McMillan and David Chavis), which are membership, influence, integration and fulfilment of needs, and shared emotional connection. Membership is the extent of personal investment and belongingness towards the community. The urban lifestyle, including an inclination towards individual self, develops a lot of uncertainty and instability in an individual. The person due to lack of social bonding and low self-disclosure does not feel a sense of emotional safety, which further leads to a lack of personal investment and a low sense of belonging. The second element of sense of community is influence. Influence is about exerting power over others, which occurs due to being part of a cohesive group. An inclination towards the individual self naturally does not make the person be a part of a cohesive group, and therefore, has a low sense of influence. The third element of sense of community is integration and fulfilment of needs, which involves community involvement. When there is community involvement then it leads to integration and needs fulfilment. Again, the urban lifestyle involving being individualistic and achievement-oriented leads to a very superficial involvement with the community, leading to very little integration and fulfilment of needs. Finally, the fourth element of sense of community is shared emotional connection, which involves deep bonding with community members. Being highly self-oriented leads individuals not being able to develop deep bonding within the community. Therefore, a low sense of membership, a low sense of influence, little integration and fulfilment of needs, and a lack of shared emotional connection all lead to limited social interactions, which lead to an unfulfilled need for intimacy and a lack of social support, eventually leading to the feeling of loneliness. An urban lifestyle or urbanism, which involves an inclination towards the individual self, makes people develop a low sense of community, which can be said to be a major cause behind the feeling of loneliness. This can be seen as the reason why loneliness, nowadays, in urban settings, has become a very common problem that people are facing. More and more people are suffering from the feeling of loneliness, it has become highly prevalent. The fast-paced lifestyle of urban settings does not make people realize that they have been unable to develop strong social bonds. As time passes by, the low sense of community and a lack of belongingness causing them to experience loneliness starts developing an emptiness and a sense of meaninglessness within them, giving rise to a state of confusion, making them to lose any sense of purpose in life. The long-term effects of such emptiness can be deleterious for the social, psychological, and emotional wellbeing of the person. This prolonged sense of emptiness caused by severe loneliness gives the person a feeling of being lost in the crowd. Loneliness, in this manner, especially in urban settings, has become a social concern rather than an interpersonal problem. Social anxiety is the fear of being in social situations, being negatively scrutinized by others, and being publicly embarrassed. This makes an individual suffering from social anxiety to be highly self-conscious, hesitant, and avoidant of social situations. The major cause of social anxiety has been found to be neurochemical imbalances. The neurotransmitters norepinephrine, serotonin, and gamma ammunobutric acid (GABA) are responsible for anxiety and arousal, and the dysregulation of these neurotransmitters have been found to cause social anxiety. This makes social anxiety all the more worrisome as it is something that occurs from birth. Studies have shown that people born with such neurochemical imbalances have a high risk of having social anxiety in adolescence and adulthood. The immediate negative consequence of social anxiety is having very limited social interactions. 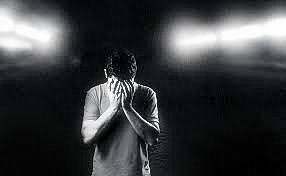 The fear of being negatively scrutinized by others and being publicly humiliated and embarrassed, along with being highly self-conscious, makes the individual to avoid almost all kinds of social and interpersonal interactions. This includes the most simple and basic social situations such as going out for a walk, jogging, buying something from the nearby shop, going to the bank, and even talking on the phone. The individual with social anxiety, due to all this, grows up isolated, having very limited social interactions. The fruitful interactions that the person has are limited to parents, siblings, and a few others with whom they might feel comfortable. The other kinds of interactions that they may have are the necessary ones such as in school, college, and workplace, which tend to be very discomforting. Having healthy, fulfilling interpersonal interactions is a basic need for any individual. A plethora of research in psychology indicates that positive relationships are essential for social adjustment, happiness, and wellbeing. What makes matters worse is that social anxiety may become a deterrent for the individual to even have enjoyable alone time. The high level of self-consciousness and fear of being embarrassed becomes a big obstacle for a person with social anxiety to have a good time even when the individual does not necessary have to have fulfilling social interactions. Everyone likes to have a good time by going out to have a good meal at a restaurant, buy new clothes at a market or mall, or simply traveling to and visiting places of interest. Social anxiety, however, makes the person avoid such activities, because even the presence of people and having the most basic interactions with them can seem to be daunting. Therefore, social anxiety does not just become an obstacle for fulfilling interactions, but it also deters the individual in having the simple pleasures in life and in many ways inhibiting personal growth. With having very limited social interactions and avoiding pleasure seeking activities that add to their experience, the individual with social anxiety grows to become socially awkward and someone who may always seem to be tensed and worried, worsening the condition. The social awkwardness may at times even drive others away, further reducing opportunities for social interactions and increasing the fear of being embarrassed. Not having many people to socialize with, the person develops a shell around him/her, making him/herself more and more isolated from the social world. This naturally develops an unfulfilled need for intimacy and an unfulfilled desire to have satisfying relationships - it develops the highly unpleasant feeling of loneliness in the individual. Loneliness makes an individual feel unwanted and worthless. The desire to have fulfilling interactions and relationships, but being unable to actually have such experiences turns out to be very emotionally painful for the person. This inability makes the person to further lose confidence and feel highly inferior as compared to others. The individual starts feeling that others have friends, but he/she does not have anyone to talk to. Sitting alone and viewing others laughing, smiling, and having a good time with each other becomes heart-wrenching for a person who experiences loneliness. The person begins to feel that he/she may never be able to have friends and one day will die alone, and nobody will even know or care about it. This consistent feeling makes the person morose, melancholic, and hopeless. The hopelessness that begins in terms of not being able to have friends gradually develops in almost all spheres of life. An extreme lack of confidence develops in the person, to the extent that he/she loses any kind of desire. The individual loses all desire to have a good education, a successful career, and simple activities like eating food, having a shower, getting out of bed, or even smiling. The person clearly begins to suffer from a severe depression. Because this depression stems from being unable to have social interactions due to social anxiety, which leads to loneliness, others do not really understand what or why the individual is going through such a state. The person might be having all the comforts in life, but is still depressed, seems to be alarming and unrealistic for others. Often, instead of depression, others view it as laziness, carelessness, or just excuses for not doing anything. The individual getting the realization that nobody really understands him/her worsens his/her condition. Being highly depressed and not getting any kind of social support from others gets disheartening for the individual. This in a way adds to the social anxiety of the individual as it makes him/her further keep a distance from people. 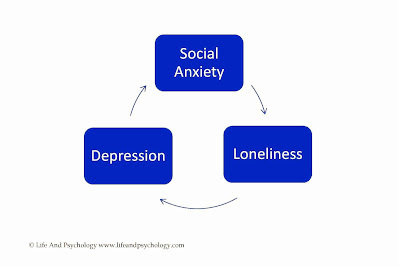 The whole cycle then continues, but in a more severe form. A more severe form of social anxiety leads a more severe form of loneliness, which further exacerbates the feeling of depression, stunting any kind of personal growth and wellbeing. In the end, the person gets stuck in a vicious circle – the vicious circle of social anxiety, loneliness, and depression. Social anxiety, therefore, is something that needs to be taken very seriously. It is a highly debilitating problem that an individual experiences, which leads to further severe psychological difficulties. It is for this reason that children with social anxiety need to be brought up in a nurturing environment that makes them emotionally competent. This is where the role of parents, siblings, relatives, peers, and teachers come in to play. They are the ones who can provide that nurturing environment involving care, comfort, support, and acceptance. This will certainly help the individual to deal effectively with the fear of embarrassment in public places as well as the feeling of being unwanted, inferiority, hopelessness, distress, and a complete lack of confidence that may all come along with it. A healthy relationship is said to be one that has high relationship quality. Relationship quality is the overall subjective evaluation of individuals about their relationship. A relationship that gives the experience of acceptance, warmth, and a sense of security; involves a feeling of trust, understanding, support, and resolution of conflicts is said to have a high relationship quality. Being in a healthy romantic relationship has been found to be associated with a number of benefits. It has a positive influence on self-concept development, it enhances self-esteem and self-confidence, and leads to better mental and physical health. In contrast, an unhealthy or toxic romantic relationship has been associated with high levels of stress, anxiety, and depression, leading to an overall negative affect on emotional and psychological wellbeing. The more healthy the relationship the more the individuals are motivated to be involved in it and the more they are able to derive satisfaction from it. This makes individuals put in more effort to sustain the relationship and make it long-lasting. In unhealthy relationships, however, the more a person stays in it the more problematic it becomes. Research suggests that it is better to be alone than to be in a toxic relationship. Despite this, often, it has been found that individuals continue to stay in an unhealthy relationship instead of leaving that person and moving on. One of the reasons that people may stay in an unhealthy romantic relationship is that they may not even be aware that is an unhealthy one. People often have positive bias or positive illusions about their relationship. There is a tendency of individuals to evaluate their relationship in a more positive manner than it actually may be. They evaluate their relationship to better as compared to the relationship of others. Every individual has an idealized view of their relationship and partner. Individuals have been found to evaluate their relationship and partner to be similar to their idealized view. Additionally, people also have ideals about the interaction pattern, sexual activity, attachment, feelings, commitment, etc. Individuals tend to evaluate these aspects of their relationship similar to their ideals; they tend to exaggerate the positive aspects of their relationship. Further, they also tend to be overly optimistic about the future of the relationship in the sense that they believe that there will be an improvement in many of the features of their relationship or that their partner will change for the better in the days to come. These positive illusions help individuals deal with the uncertainties, anxieties, and stresses associated with their relationship. This makes them sustain the relationship and gives them a feeling that everything is fine with their relationship, making it last long. In the long-term, however, this does not really work. In the end what they have are illusions, which means that they have an inaccurate evaluation of their relationship. Having positive illusions may help them sustain their relationship for a longer period of time, but in actuality it is making them overlook, undermine, or simply ignore many of the negative aspects of a relationship such as incompatibility, issues of conflict, lack of care, mistrust, jealousy, or even being at the receiving end of disrespect and mental and physical abuse. While positive illusions may make the person continue in the relationship, the negativities of the relationship continue to creep in and eat the person from the inside. Before the person even realizes, the toxicities takes its toll on him/her, all this while believing that nothing is wrong in their relationship. Positive illusions make people unaware that their relationship is unhealthy and thus, they continue staying in the relationship. But, there are instances when individuals realize that their relationship is unhealthy and they still continue staying in that relationship. A number of times it has been found that after a while an individual may not feel satisfied with his/her relationship, they feel a lot of dissatisfaction and distress, and getting into that relationship seems like a mistake. In such instances, the person may have the feeling to end the relationship. Despite this, the individual does not end the relationship and continues staying in it, no matter how disturbing and troublesome the relationship may turn out to be. Often, it has been found that, even when the relationship is abusive, the individual still continues to stay in the relationship. This phenomenon of being committed to a bad decision, even when it is associated with continuous trouble and increasing loss, is known as escalation to commitment. According to this phenomenon, individuals self-justify their decisions because they feel that their initial decision was a rational one. Further, they stick to their decision due to external forces. Specifically talking about relationships, when a person begins to realize that he/she is in a dissatisfying or troublesome relationship, the person, initially, might feel that he/she needs to look into the matter from multiple perspectives and that he/she may be wrong in their judgment. The person might make an effort to change his/her perspective, which prolongs the stay in that troublesome relationship. Further, there is the persistent pressure from family, peers, and society. Breaking up from a relationship brings in a lot of possibilities of being judged and stigmatized by others. If the person is married, then a legal separation or divorce, not only becomes highly stressful, but the label in itself is seen as big stigma in society. Breaking up from a relationship also means that the person has to go back to the state of singlehood. The term singlehood, although, is used for people who are unmarried (even if they have a romantic partner), it is often used to describe people who do not have a romantic partner. Singlehood, especially in the later phase of one’s life, in itself is seen as a stigma in the society. People have a lot of prejudices associated with singlehood, which is referred to as singlism. Singlism leads people to discriminate against individuals who are single, both in social gatherings and the workplace. Individuals who are single are treated in a specific manner, they have a lot of stereotypes associated with them such as being carefree, non-serious, irresponsible, reckless, having a shallow character, etc. All of these aspects associated with singlehood, within the society, make the individual reluctant to end their relationship. They feel it is better to be in a toxic, troublesome relationship than being single. Apart from the prejudice called singlism, many people often have a fear of being alone. They feel that even if they are in a troublesome relationship, at least they have someone to interact with. Especially, if the relationship has been a long-term one, in which they have put in a lot of time and effort, they may have the fear that all of a sudden they will end up being alone. In such instances a lack of alternatives also becomes important. The possibility of being involved with someone else after breaking up, may help the person to not have the fear of aloneness. Being in an unhealthy romantic relationship, as mentioned above, has a lot of negative consequences on an individual’s mental health. No one wants to really continue to stay in an unhealthy romantic relationship and experience the distress that comes along with it. A number of factors like having positive illusions, self-justifying ones decision, conforming to societal pressures, the fear of being alone, and a lack of possible alternatives, often make people stay in an unhealthy romantic relationship, even if the individual does not want to. Teaching is not restricted or limited to the classroom. With the advancement in technology and the increase in internet usage, over the past few years, teaching has gone way beyond the classroom.In recent times, blogs, Facebook pages, and Twitter handles have become popular educational tools. For students, such social media platforms have become types of asynchronous communities, where they can get relevant information and even share it with others. Information from such platforms is very easy to access, and with just a click it can be shared to multiple people. In this way, the same information is accessed by multiple people almost at the same time. Generally, on such platforms, information is given in a much simpler form, which makes it easier to understand, as compared to text books and journals. In this way, they become very good additional educational resources. Further, due to the short attention span that many of the students have nowadays, reading from books is found to be taxing and too demanding for them. In such cases, reading from blogs and Facebook pages, in which information is given briefly yet comprehensively, brings about a lot more interest. If students find social media to be a quick and easy way to learn, teachers find it to be a fun and exciting way to teach. Formal teaching requires teachers to mostly stick to the given syllabus. They can surely improvise and deviate sometimes to make it interesting, but eventually, keeping in view the limited number of classes in a semester, they cannot go beyond the syllabus. This is where teachers can make full use of social media. There are always some exciting and fascinating information out there that a teacher may want to share with students, but is unable to do so due to time constraints. Using blogs and Facebook pages, authored and created by them, teachers can exactly do that. By sharing information on their own blog and Facebook page, they are able to give an idea of their real interests regarding the subject. It helps to display a sense of individuality, and the matter that they are sharing may also reflect on some hidden aspects of their self, giving out a personal touch to the information that they are sharing. On May 27, 2018, my blog Life And Psychology (www.lifeandpsychology.com) completed ten years. For the past ten years I have been consistently writing on the blog about topics like mental health, relationships, individualdifferences, feelings and emotions, cognition, culture, lifestyles, communication, among others. Writing about these topics has helped me to articulate related topics in a better way. I have often been able to use many of such posts and relate them to my teaching in the classroom, making my classes to be more interesting. Students who have read my posts, quite a few times have had discussions with me about those topics. In this way, it has also led to better teacher-student interactions, and also increase their interest in psychology. Apart from being useful academically, a number of individuals, from different parts of the world, have expressed to me how reading my posts have helped them to understand them in a better way and how it has helped them to feel positive about themselves. People have, especially, found the posts on emotional hijacking, self-satisfaction, introversion, inferiority complex, loneliness, and social motives to be very useful and helpful. The blog, therefore, is not only an educational tool, but also a platform for understanding and being aware about mental health, which has taken teaching to a different level. Over the years, this blog has gained a lot of popularity and has readers from over 150 countries. Along with my interest in psychological issues, I am also fascinated with the origins of psychological concepts, which led me to start my blog called History of Psychology (www.historyofpsychology.net), on May 3, 2015. This blog is all about how ideas, concepts, and perspectives, in psychology, have emerged, how one perspective led to another, who were the proponents of important ideas, and what led psychologists to come up with a specific idea. The writing style on this blog is simplistic so that theories and concepts are understandable. The topics on this blog can be very technical and that is why a simplistic writing style is maintained in order to make it readable to a wider audience. Through this blog, I try to cover various aspects of the history of psychology such as structural and functional psychology, psychoanalytic psychology, clinical and abnormal psychology, act psychology, and so on. I write about topics that are generally not covered in the syllabus, which, thus, gives an opportunity for students to learn about theoretical considerations in an easy, simplistic manner. From a teaching perspective, it helps me to simplify the technical, theoretical aspects of the history of psychology, making relatively difficult topics easier to understand. This turns out to be challenging and stimulating, which works to enhance my enthusiasm and interest in psychology. The blog creates a bridge between the traditional and the contemporary, which turns out to be of great interest and encourages critical thinking, which is a highly important aspect of education. To quite an extent, my Facebook page, InterestingFacts About Psychology (www.facebook.com/InterestingFactsAboutPsychology) deals with a similar purpose. On this page, I post relevant, thought provoking facts related to psychology, on a regular basis. I began this page on November 4, 2010. So far, I have posted more than 900 facts and the page has got more than 20000 likes, from over 50 countries. The information that I share on the page, are related to pre-modern, modern, and contemporary psychology. It is a quick, fun, and enjoyable way of learning psychology for the readers. Generally such information can be gained by in-depth reading of books and journals. However, through this page, I provide a platform for readers to get such information with little effort. It is useful not only for people who have a psychology background, but also for those who are interested in psychology but are from other disciplines such as Management, Engineering, English, Philosophy, Education, Biology, etc. As I share information on this page every three to five days, it requires me to update my own knowledge in psychology regularly, which is always useful for a teacher and for someone who is in academics. I have also created a Twitter handle (www.twitter.com/FactsPsy) of this page, which allows me to share information to a much wider audience. I share all the posts on my blogs and Facebook page on my own Twitter handle (www.twitter/saiffarooqi) so that it can be viewed by people who may not have direct access to the posts. I have also created separate Facebook pages for both of my blogs (www.facebook.com/LifeAndPsychology, www.facebook.com/HistoryOfPsychology) to make the easier to access. In this way, over the past ten years, I have been using social media platforms like blogging, Facebook, and Twitter for teaching psychology. As a teacher, I have found social media to be a very useful educational tool. I have found it to be a fun, exciting, and motivating way of reaching out to students and other individuals with whom I do not have an interaction with on a day-to-day basis. Being consistently writing on my blogs and Facebook page, has helped me as a teacher academically – it has enabled me to increase my knowledge and articulate my ideas in a better way – and in the process has added to my personal growth. Through my fulfilling ten years of experience, I have decided to promote the usage of social media as a useful method of teaching. Self-expression is the expression of one’s feelings, thoughts, or ideas. It is a reflection of a person’s individuality and autonomy, and is about behaving in line with ones states and traits. It enables one to distinguish oneself from others, reflect on ones beliefs and needs, and leads to self-empowerment. Self-expression has been found to have a positive influence on individuals. It leads to self-empowerment and plays an important role in self-concept development. Suppression or lack of self-expression can lead to negative consequences on mental health. Therefore, self-expression is a highly significant aspect of behavior and has major implications on development and wellbeing. There are specific types of people such as introverts, shy individuals, and individuals experiencing loneliness, who are known to have difficulties in self-expression. Introverts due to their physiological structure (high brain arousal) get easily stimulated that causes discomfort in situations that require a lot of social interactions. This makes them to keep to themselves and have reluctance in being involved in social situations. Shyness is determined by the inhibited temperament often found to be associated with an overly sensitive amygdala (brain area known to be the seat of emotions). The inhibited temperament is characterized fear and distress in relation new situations, people or objects. Due to this, individuals have high levels of physiological activity in response to unfamiliar social situations that makes them to avoid such situations. 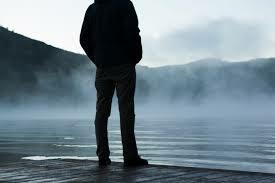 The feeling of loneliness, which is an unpleasant experience due to an unfulfilled need for intimacy, often occurs because of a lack of social skills that does not allow individuals to have satisfying interpersonal interactions. In these cases, self-expression, especially in face-to-face social interactions, becomes difficult. They are highly hesitant in face-to-face interactions making them have very little interaction with people around them. The lack of or very limited social interactions that these individuals have, further, develops to a heightened and highly unfulfilled need for self-expression. The inability in self-express creates a discomforting experience leading to stress, anxiety, and other mental health issues. For such individuals, the internet or cyberspace turns out to be a comforting space. Cyberspace becomes a platform for such individuals to express themselves. Specific features of the cyberspace enable such individuals to be involved in self-expression, something that they are unable to do so in face-to-face scenarios. A major feature of the cyberspace is the aspect of anonymity. Anonymity is referred to the inability to identify an individual or the inability for others to identify oneself. In the time when people are very active on social networking sites like Facebook, Twitter, and Instagram, and tend to share information about themselves, including their own picture, complete anonymity is rarely possible on the internet. However, individuals on the internet have a feeling of social anonymity. Social anonymity refers to the perception of being anonymous, rather than actual or true anonymity. Social distance, lack of interpersonal cues, and interacting with someone in a different space, instead of being face-to-face, develops a sense of obscurity, which makes the individual perceive him/herself to be relatively anonymous. Being on the internet, despite revealing information about oneself, there is a sense of impersonality, self-control, and liberty, which are characteristics of anonymity. Such anonymity has been found to be associated with privacy, catharsis, and autonomy. Privacy is the ability to control the amount of contact with others. This may not necessarily mean to in terms of physical presence, but the ability to exert boundary control upon others to interact with oneself. This proves to be very helpful for introverts and shy individuals. Such people often have the feeling of violation of privacy during face-to-face interaction. Having a sense of control over privacy in cyberspace gives a lot of comfort, which makes it easier to interact with others, leading to better self-expression. Catharsis, the unhindered expression of ones thoughts and feelings to others, is a major aspect of self-expression. Social anonymity makes catharsis easier as compared to face-to-face interaction. Especially for lonely individuals, this feature becomes very helpful. Individuals often hesitate to share their emotional pain of loneliness with others, thinking that it will further drive people away. Anonymity enabling catharsis works perfectly well for lonely individuals. It works well for introverts and shy individuals also, as they do not have to experience discomfort of being with individuals while sharing their thoughts and beliefs. Autonomy involves being able to behave as freely as possible without worrying about social consequences. Social anonymity almost negates the idea of being judged by others. Introverts and shy and lonely individuals often become very hesitant in front of others. They tend to become highly self-conscious. Especially, shy individuals persistently have the feeling of being negatively scrutinized by others. The feature of autonomy due to social anonymity allows such individuals to be themselves without the fear of being judged others, which further helps in self-expression. Anonymity on the internet with respect to privacy, catharsis, and autonomy, therefore, becomes very helpful when it comes to introversion, shyness, and loneliness. It makes it easier for such people to express themselves as compared to face-to-face interactions. Along with social or perceived anonymity, facets of self-awareness in the context of the internet play a significant role in self-expression. Self-awareness refers to conscious self-knowledge. It is a focus, attention on features of the self. The self-awareness perspective suggests that in different circumstances an individual’s attention is directed to different features of the self. When attention is directed to external factors such as people or surroundings then it is referred to as public self-awareness. When attention is directed to internal aspects such as beliefs, thoughts, feelings, personal memories, etc., then it is referred to as private self-awareness. Both of these facets or features of self-awareness become important in the cyberspace, especially with respect to self-expression. Public self-awareness makes a person conscious of one’s surroundings and makes the individual behave as per the norms or in ways that are expected. In cyberspace, social anonymity, in terms of social distance and obscurity, reduces this sense of public self-awareness. This means that the individual does not feel conscious of his/her surroundings and there is little evaluation apprehension and pressure of self-presentation. Apart from this, there are lack of accountability concerns. The person feels that whatever he/she does or says is in the cyberspace and has little to do in their actual life where they have face-to-face interactions. The cyberspace with little pressure for self-presentation and the lack of accountability concerns is coupled with a sense of comfort where the individual is in his/her own private space, during online interaction. This comfort and high sense of privacy leads to a heightened sense of private self-awareness. This means that the individual becomes more aware and tends to have greater access to inner thoughts, feelings, and emotions. The heightened sense of private self-awareness will enable the person to be involved in more self-disclosure, that is, revealing of more private and personal information. Both reduced public sense of self-awareness and heightened private sense of self-awareness work together during online interaction, which is almost the opposite in face-to-face interaction. A heightened public sense of self-awareness and a reduced private sense of self-awareness in face-to-face interactions are often the reasons why introverts, and shy and lonely individuals have difficulties in self-expression. Together a reduced and heightened attention on the public and private aspects of self, in the cyberspace, makes it easier for such individuals to express themselves. The aspect of deindividuation, a sense of loss of individuality and personal identity, in cyberspace, also enables individuals to be involved in more self-expression, as compared to face-to-face interactions. Social distance and a lack of interpersonal cues during online interaction result in the deindividuation process. Interpersonal cues are referred to aspects that distinguish one from the other. These cues are very much visible in face-to-face interactions and are not present in online interaction (or are limited in case of video chats). The deindividuation process reduces personal identity and heightens more of a social identity. During online interactions, this social identity develops with respect to the more salient features, which is being a part of the larger group of cyberspace. In such cases norms develop in accordance to the larger group and individuals tend to adhere to those norms. The reduced personal identity and heightened social identity with respect to the cyberspace enables the individual to behave and say whatever he/she feels like, with very little hesitation. This little hesitation works well for introverts, and shy and lonely individuals for whom hesitation becomes a major deterrent for self-expression, in face-to-face interaction. The lack of hesitation in cyberspace, due to the process of deindividuation, makes them involved in self-expression in a much better way. It is due to the aforementioned features of the cyberspace that it has been found that individuals, especially who are hesitant in face-to-face interactions, indulge in more self-disclosure, during online interactions. They feel lesser hesitancy and diminished social awkwardness, in the cyberspace, giving them a greater sense of comfort, enabling them to express themselves in a better manner. In the past few years, people who have difficulties in self-expression in face-to-face interactions, have been using the cyberspace as a platform to express themselves. There are a number online forums or groups in which people discuss their personal issues and difficulties. They share their experiences in such forums, giving them ample opportunities for self-expression. In this regard, blogging has become a very useful medium. Especially, a lot of introverts, and shy and lonely individuals write blogs, in which they either share their personal experiences or write on topics they find to be interesting, something they are unable to do so during face-to-face interactions. Social networking sites like Facebook, Twitter, and Instagram have also become very helpful for self-expression. Simple activities like tweeting ones opinions, writing a status, or sharing pictures with creative captions are all aspects of self-expression. They in some way represent the identity and personality of the individual. This works very well for individuals like introverts and those experiencing shyness and loneliness, who are unable to express themselves properly in face-to-face interactions. Self-expression is a highly significant aspect of behavior. It is associated with positive mental health and self-concept development. Due to its specific features like social or perceived anonymity, reduced public sense of self-awareness, heightened private sense of self-awareness, and the aspect of deindividuation, the cyberspace has become a very useful medium for self-expression. The cyberspace can, thus, be used as a platform to help people like introverts, and shy and lonely individuals, who have difficulties in self-expression in face-to-face interactions. Live-in relationships (also known as cohabitation) involve two unmarried partners living in an intimate sexual union, sharing the same household for a sustained period of time. Over the years, live-in relationships have been on the rise, in a way changing the normative family or household structure. It is in some way inevitable that live-in relationships are often compared to marital relationships, as both involve two people living together and having a sexual relationship. Live-in relationships, although, are always viewed as a step of breaking away from the traditional concept of marriage. The comparison of live-in relationships with marriage, initially favored marital relationships. Initial research suggested marriage to be better with respect to relationship quality, commitment, and wellbeing. Further, earlier, live-in relationships were often dismissed as non-serious and casual, when compared to marriage. Later research, however, gave different results. It indicated that live-in relationships tend to be better in terms of individual wellbeing, as it involves equal distribution of household labor, egalitarianism, and less rigidity in terms of exertion of norms. There is still little agreement when it comes to which type of relationship is better, but in recent times there have been more of mixed results. One of the major reasons for these mixed results is that a lot of research indicates that live-in relationships cannot be considered as a single theoretical framework and that all live-in relationships do not share similar attributes. Live-in relationships are not a homogenous group; there are many variations within live-in relationships. Viewing live-in relationships as a single construct is too simplistic of a way in understanding them. Live-in relationships are complex, vague, and fuzzy; they are anything but simplistic. Psychologists and sociologists through their extensive research have found typologies of live-in relationships. These typologies give a good indication of the complexity and fuzziness of live-in relationships, and clearly show that live-in relationships cannot be viewed as a homogenous and single construct. Initially, it was suggested that live-in relationships can be divided into two broad categories of prelude to marriage and alternative to marriage. Although a simplistic view of live-in relationships, unlike earlier perspectives, it does not view live-in relationships as a single conception. Live-in relationship as a prelude to marriage suggests that some people see living together as a testing ground for their relationship, and see how it goes forward. They eventually have a plan to marry, but would like to see how things work out, before taking the final decision. As an alternative to marriage, live-in relationships are viewed as a choice that is different from marriage. People in such a relationship, either do not want to get married or do not even believe in the idea of marriage. They have the belief that to be together they do not need to get married. Later, live-in relationships have not been restricted to just two types. Research has indicated further types in terms how serious the individuals are in the relationship. This may range from whether they are casually involved and are living together, without thinking much about the future and the course of the relationship or if they are seriously committed, but have not yet thought about getting married. Moving along with the idea of not having a simplistic typology, Casper and Bianchi describe four different types of live-in relationships - (1) alternative to marriage, (2) precursor to marriage, (3) trial marriage, and (4) coresidential dating. As an alternative to marriage, the partners are not thinking about getting married and may have no intention of getting married. They just want to live together. As a precursor to marriage, the partners are living together with an expectation to get married some time in the future. In trial marriage, the partners want to see if they are good enough to get married. They are not sure about their compatibility, and not sure if they really do want to get married. By living together, they are testing their relationship and trying to find out if they are suitable to get married with each other. Coresidential dating is like a serious dating relationship in which the couple lives together, without any intention or expectation to get married. They find living together to be convenient, instead of living apart. This typology breaks the myth of live-in relationships being non-serious, casual, and may not last long. According to this typology, live-in relationships can vary in terms of expected long-term duration, with alternative to marriage and precursor to marriage being expected to be more long lasting than the other types. Heuvaline and Timberlake gave more variations in types of live-in relationships. They suggested that live-in relationships vary on the basis of how much it is institutionalized as family formation within the region/culture in which the partners are living together. Through their research in different countries, they concluded that live-in relationships can be divided into six types. Based on their research, they suggested that depending on the country or culture in which the partners are living, live-in relationships can be seen as (1) marginal, (2) prelude to marriage, (3) stage in the marriage process, (4) alternative to singlehood, (5) alternative to marriage, and (6) indistinguishable to marriage. When live-in relationships are viewed as completely inappropriate with respect to the culture of a place and it is not institutionalized as a way family formation then it is categorized as marginal. Due to this, very few people are involved in live-in relationships, because they feel that they will be looked down upon and will be heavily criticized. In such instances giving birth to children becomes very rare. In prelude to marriage, live-in relationships are seen as a testing ground for marriage. People indulge in such a relationship if it is culturally supportive and if there is access to affordable housing. If the relationship continues for some time, especially after giving birth to children, and then norms are not very supportive, then they are expected to get married or end the relationship. In cases where partners in a live-in relationship decide to have a child but are not concerned about the timing and order of marriage and childbearing, live-in relationships are seen as a stage in the process of marriage. They eventually get married when they realize that there are institutional incentives to have children within marriage, and that their culture may not approve of having children out of wedlock. Live-in relationships are seen as an alternative to singlehood, when partners want to postpone forming a family and at the same time do not want to live separately. The partners feel that they are too young or that it is too early to seriously consider being married, and prefer to live together, with no immediate intention to get married. This also depends on having increased access to affordable housing. 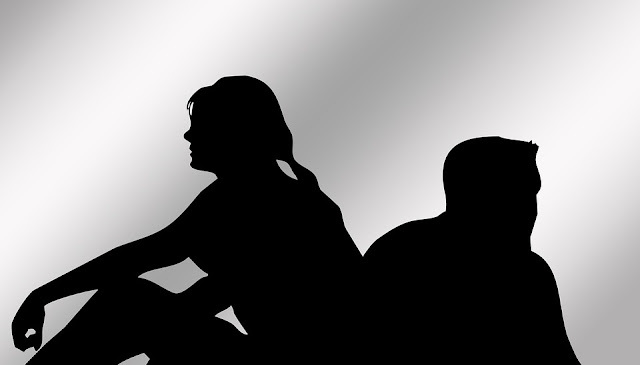 Partners often consider a live-in relationship as an alternative to marriage. Depending on greater cultural approval and institutional support for having children out of wedlock, partners feel that it is better to remain unmarried and still form a family just like a married couple. Perhaps they do not believe in the concept of marriage and feel that they do not need to get married to live together. In indistinguishable from marriage, partners are indifferent to marriage because there is a high cultural approval for live-in relationships. There is a high level of acceptability for living together, without marriage, and there is also institutional support for having children out of wedlock. In such cases, live-in relationships are not viewed as something antithetical or like an alternative lifestyle. It is simply a way of living that is embedded in the culture. Partners may get married later on, but even if they do not get married, it is not culturally frowned upon, as they can live like married couples, without wanting or thinking of getting married. This typology again indicates that live-in relationships have nothing to do with being a casual, frivolous relationship. People who are serious in their relationship and give value to their partner can also be involved in a live-in relationship. The typology gives a lot of emphasis on institutionalization and cultural norms in determining the number of people getting involved in a live-in relationship. Depending on that, partners may remain in a live-in relationship or end up getting married. More recently, Hiekel, Liefbroer, and Portman, on the basis of their research, described five types of live-in relationships. These five types are grouped in two broad categories – live-in relationship as a stage in the marriage process and live-in relationship as an alternative to marriage. Live-in relationships as a stage in the marriage process includes four subtypes - prelude to marriage, trial marriage, and living together for economic reasons. Prelude to marriage is a form of engagement. The partners have a firm intention to get married; they see moving in together as the last phase before marriage. Trial marriage is somewhat similar to prelude to marriage. The difference between the two is that in trial marriage, the partners are not yet sure about getting married. They view living together as a test or an evaluation of their relationship. Living together for economic reasons, the third subtype within this category suggests that the partners want to get married, but cannot afford it. It is the economic concerns that make them take the decision to be in a live-in relationship. They intend to marry once their economic conditions become better. Live-in relationship as an alternative to marriage includes two subtypes. First, the partners decide to be in a live-in relationship because they feel that marriage is an outdated concept/institution. They have an ideological refusal of marriage. In this, the partners are in stable, long-term relationships, they believe in personal autonomy, and are liberal towards gender roles and division of labor. Second, the partners do not feel the need to get married; they do not view marriage as relavant. Unlike, the first subtype, the partners do not have an ideological refusal about marriage; they just do not view it as important. They feel that getting married will not make any difference to their relationship. This typology also breaks the myth that live-in relationships cannot be long-lasting and are just casual relationships. The typology gives further variations of the initial broad categorization of live-in relationship (prelude to marriage or alternative to marriage). According to this typology, as well, live-in relationships can be serious and long lasting relationships. This is clearly reflected, especially, in the subtypes of prelude to marriage, living together for economic reasons, viewing marriage as outdated, and not viewing marriage as relevant. Apart from the aforementioned typologies, another subtype of live-in relationships known as part-time live-in relationships has emerged. In this, the partners are in a serious relationship but due to some reason like work or staying at different cities, they do not always live together and share the same household. They are live separate, individual lives, and live together only during weekends or holidays or vacations. After that, they get back to their individual life and then get back together whenever they get the opportunity. Live-in relationships are often construed as frivolous, non-committal relationships that have little chance to be long lasting. This, however, has been found to be a big misconception and a highly simplistic view about live-in relationships. Research by psychologists and sociologists indicate there are many variations in live-in relationships. These variations have led to the development of many typologies of live-in relationships. The typologies not only suggest that live-in relationships cannot be viewed as homogenous and a single construct, but depending on the typology, they can be relationships that are long lasting, highly committed, have high relationship quality, and associated with high levels of wellbeing.